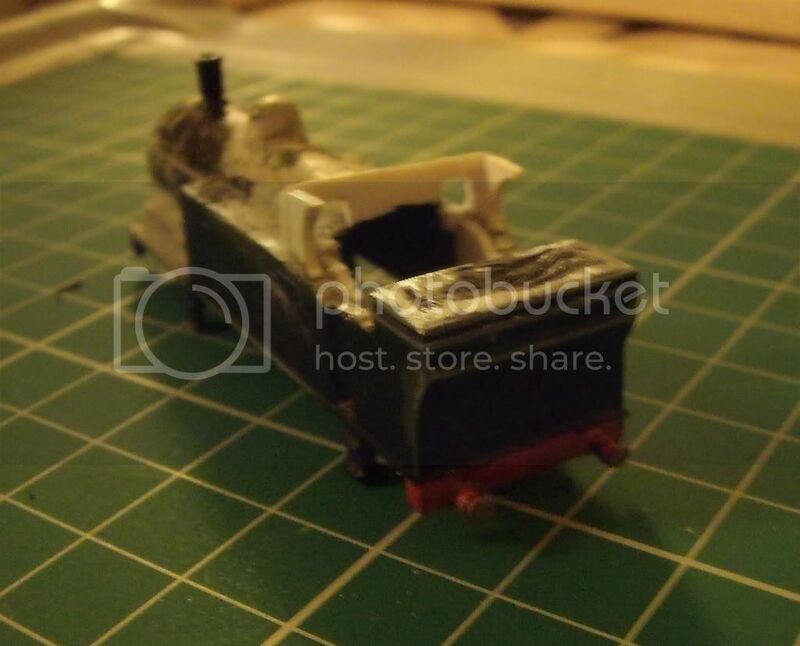 Well, not done much to the layout for a few weeks as I've been working on some rolling stock. Whilst working on some coaches I checked a book to make sure I got the lining in the right place. The book is 'Irish Broad Gauge Carriages' and it is extremely useful. Whilst leafing through the pages I saw something very easy to model. On page 37 there is a 1958 photo of a corridor side of an 8 compartment lavatory third built in 1925. 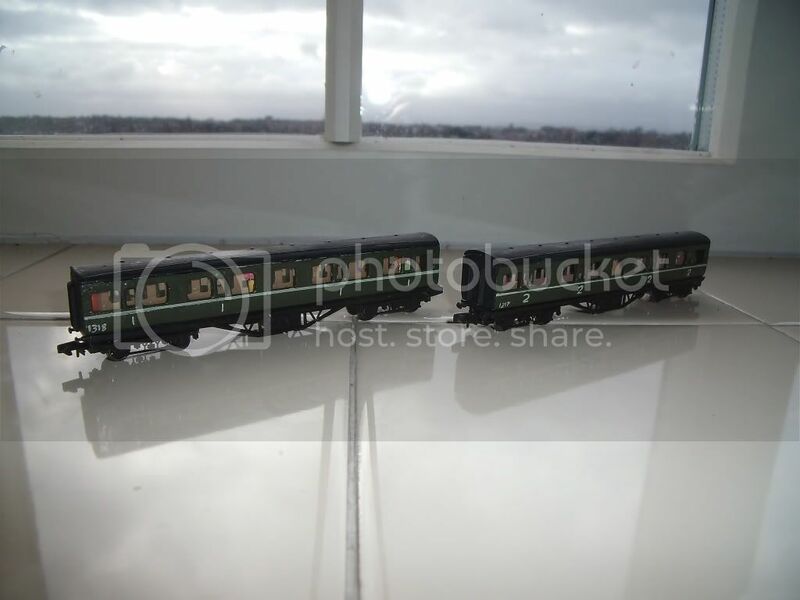 I thought it looked remarkibly like an old 'Mainline' coach. 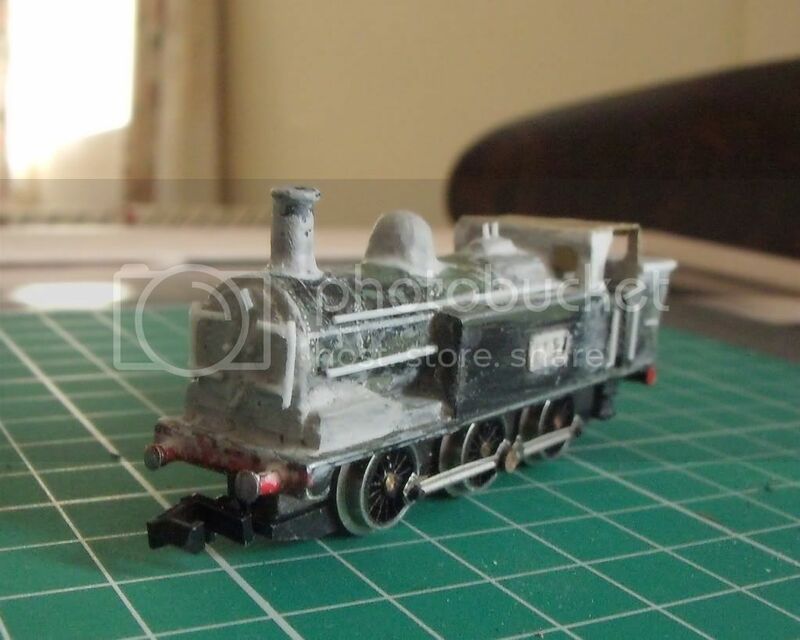 A few years ago I picked up two bogie-less LNER versions, faded and marked but complete otherwise. At 50p each I thought they might come in useful one day. Well, now they have. 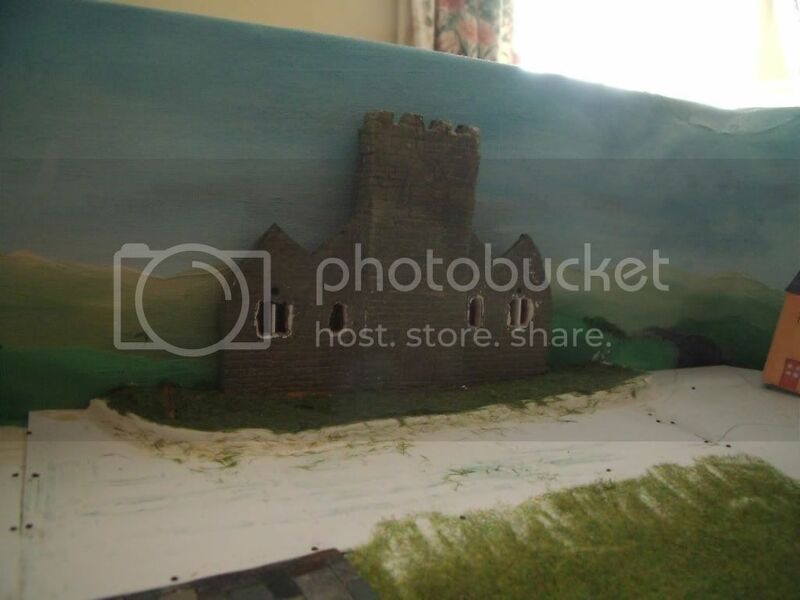 To 'Irish-ise' them, just four windows needed filling and repainting! The orange bits are where filler's needed. Sand flat and paint. Simples! 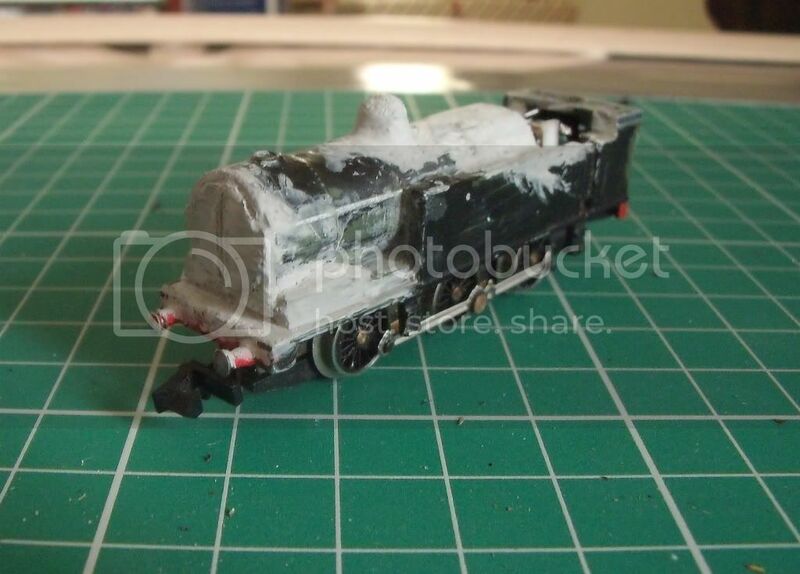 Bogies were in my spares box. Need to find something to attach them to the chassis. 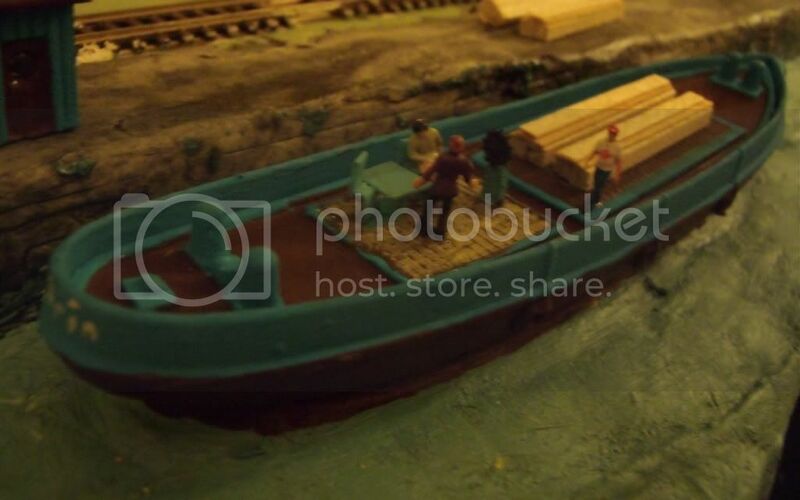 I presume the other side is like the model as I've yet to find a photo of the compartment side. 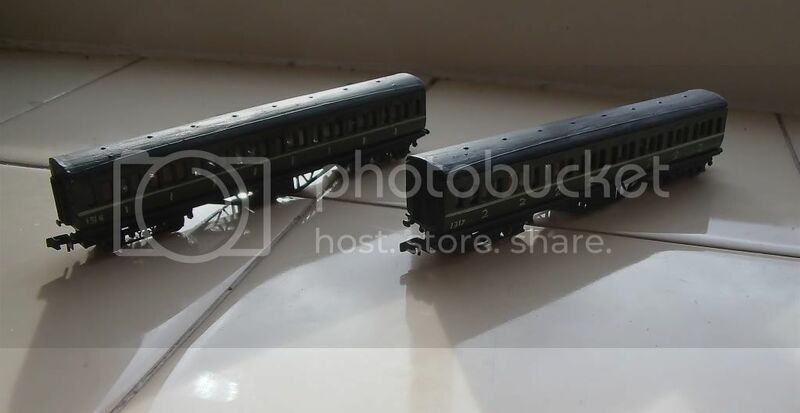 The roof on the 1st class one needs touching up and the other is in the short lived 2nd class type. I've painted the numbers and lining on for now. I have no decal paper at the moment and having just bought new ink cartridges won't have for some time! Not sure if they are to scale but I'm happy with them. 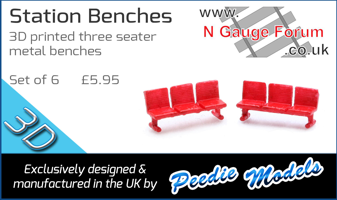 These will be useful for summer excursion trains on my branchline so it wont just be 6 wheelers! Quite a lot of the CIE stock built in the late 1930s - mid '50s looks similar to 'Stanier' coaches http://en.wikipedia.org/wiki/Coaching_stock_of_Ireland. You could use the new Farish ones, of course, but, given they'd probably need a bit of rearrangment (a lot had to toilets in the middle) you might be able to more cheaply bash them out of the Mike Howarth LMS coach kits, especially as he sells 'seconds' that provide a cheap and convenient way of getting extra bodies for conversion. There's seven stones making the circle. They are real too. Though not from Ireland, their from LLandudno beach! Ex NGS 'shark' kit nearest the camera, see earlier in this thread for details. 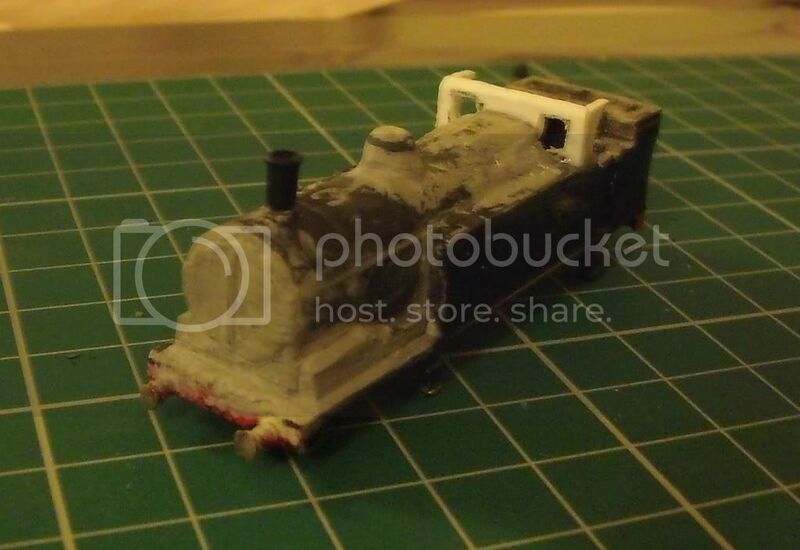 They are mainly Peco kits suitable painted and weathered. The one nearest the brake van is a 'soft top' or 'convertible' van. Peco again with bits cut out where needed like strapping and the centre section of the roof for a sheet to go over. If I can get drawings or dimensions for one of these I'll try making one using 3D printing. Until then butchered Peco will do! Very nice. I like the convertible wagon. Nice work Moogle. Great weathering. I've since found out though that Irish wagons and brake vans have always been painted in one colour, chassis and iron work as well. Looking at some colour photo's in books confirmed this. So most of mine will need the same treatment. Though the convertible is so filthy you can't see what colour the chassis is! Working on the layout slowed down a bit over the last month as I had other things to do but I did do something! 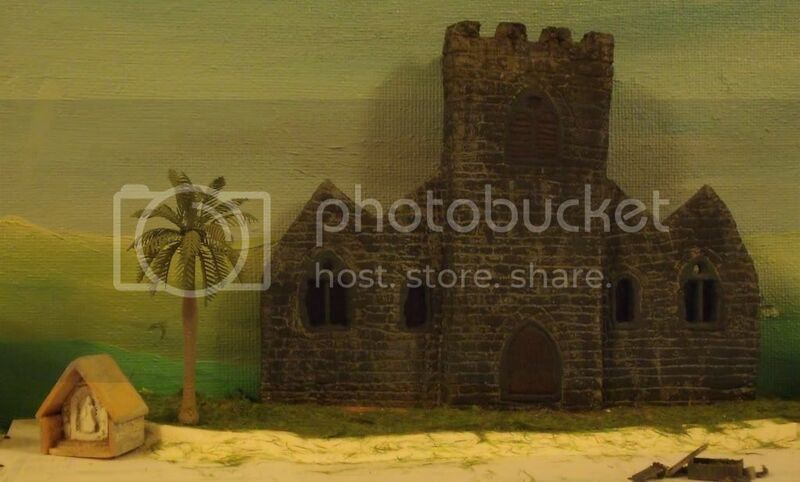 The church is now nearing completion, it just needs stones painting/picking out and the roofing done. Then I can add the grotto to the front wall. 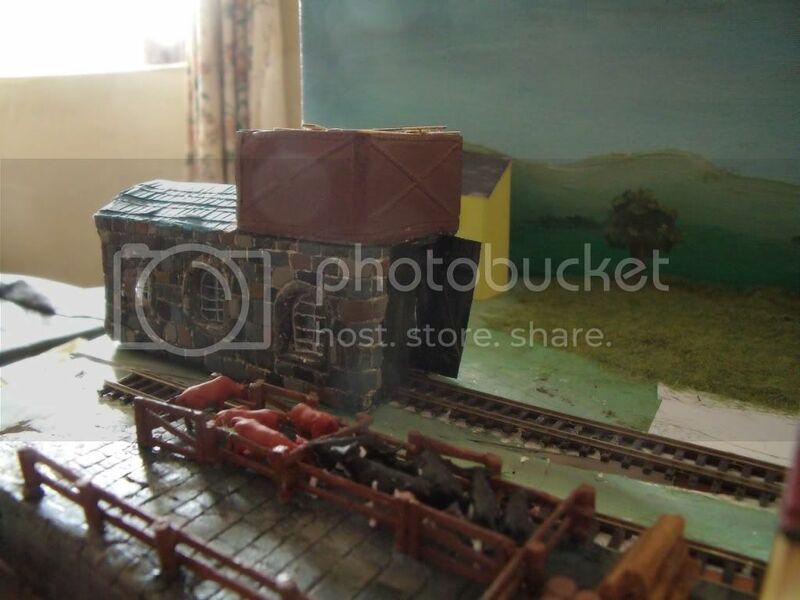 Been working on the disused engine shed too. It has doors now and a roof. Roof needs painting and more dilapidation adding. Weeds, Ivy, stuff like that. 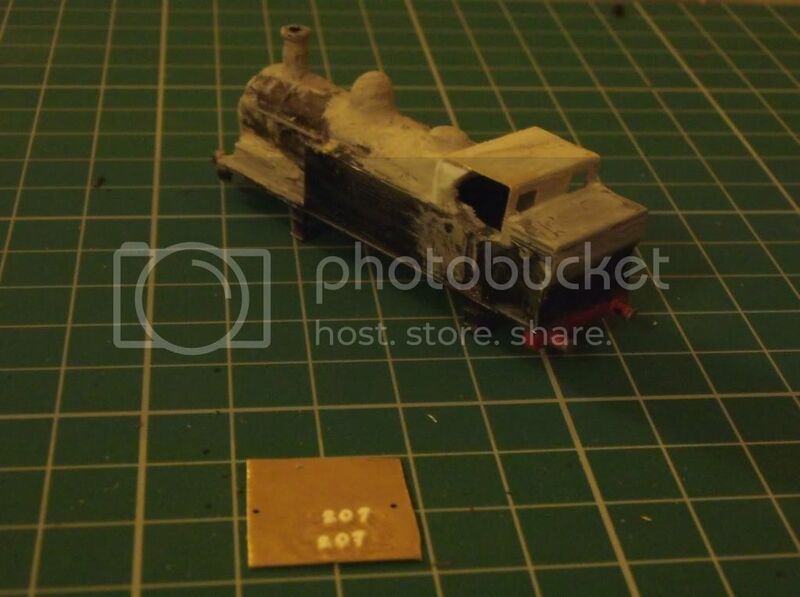 Been working on some loco's too. My 1st C class diesel. Valvedesign body, Lifelike SD9 chassis, N Brass fittings. Not everything is straight as it should be but this is my 1st ever attempt at this sort of thing! Started out as an old GP tank. 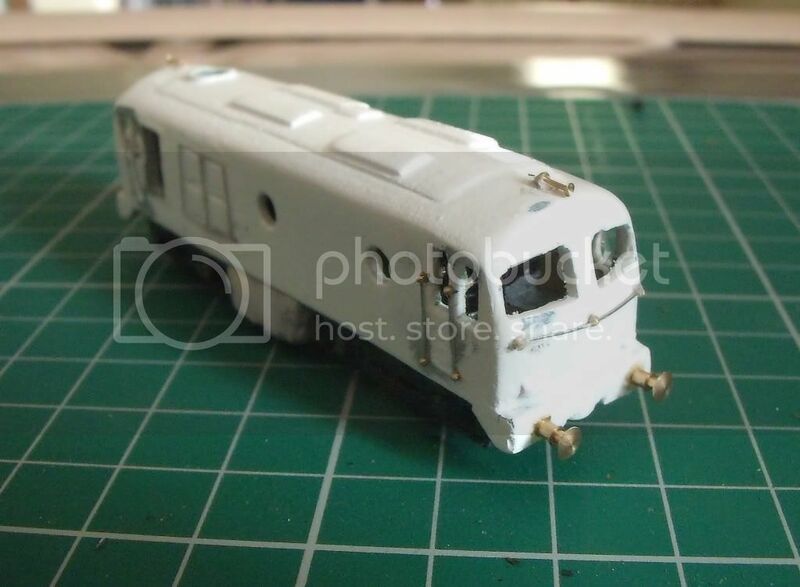 Lots of model filler used and a new cab yet to be made. So still lots to do to keep me busy! 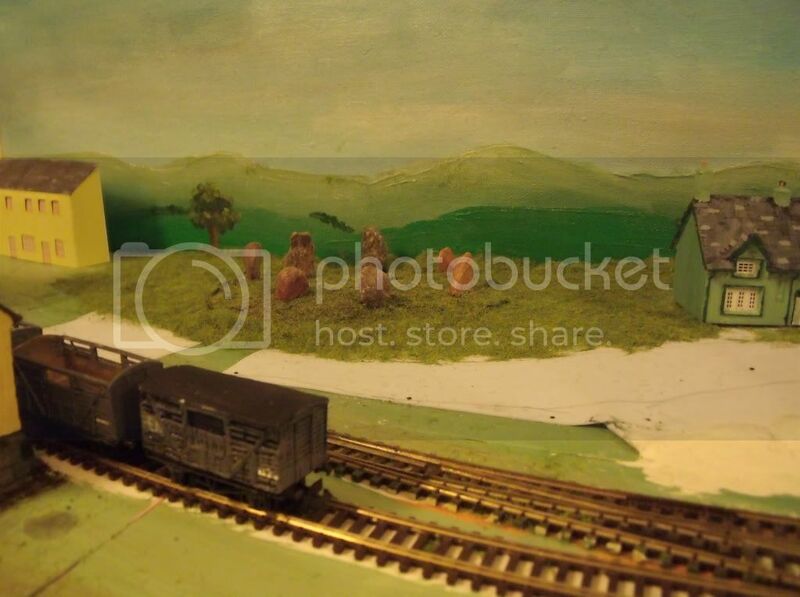 It's always nice to get back to the layout after a period if inactivity. I like the J11. 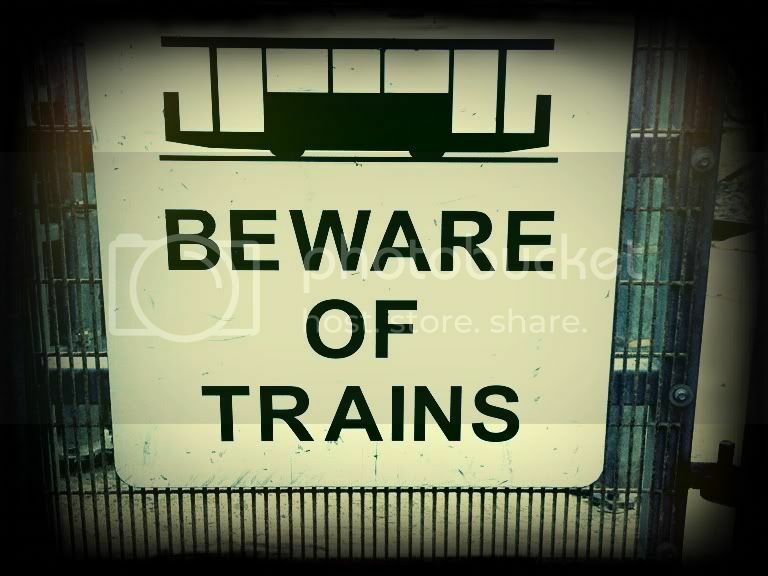 Is that specific to Irish railways? 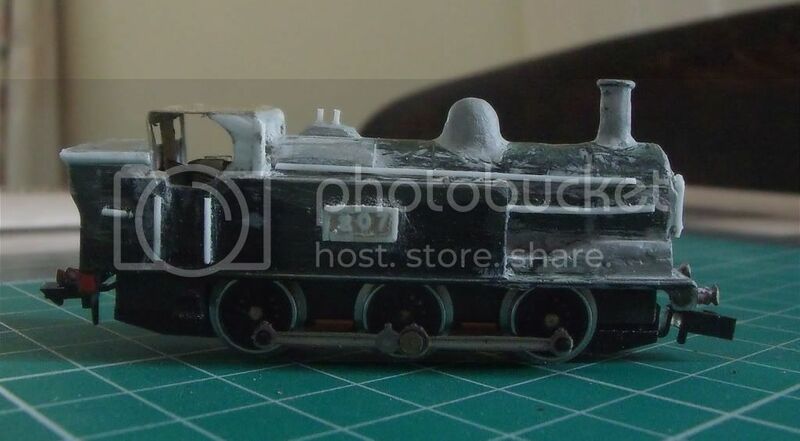 I have a Grafar GP tank that I have been converting into a Barclays 0-6-0T but that has been on the go for at least 3 years now. One day I'll get it finished. Looking really good. I like the effect you've done on the church roof. Did you stick down individual tiles? Yes they have. The landlord of the Small Bridge Bar offered free drinks all night to anyone who would. The O'Malley brothers took up the offer and fed the cows for three hours. I like the effect you've done on the church roof. Did you stick down individual tiles? I've not done the church roof yet! If you mean the disused engine shed then no, they are strips of paper tiles. I haven't the patience to do individual ones! I like the J11. Is that specific to Irish railways? It is indeed. Its designer's not. One H.A. 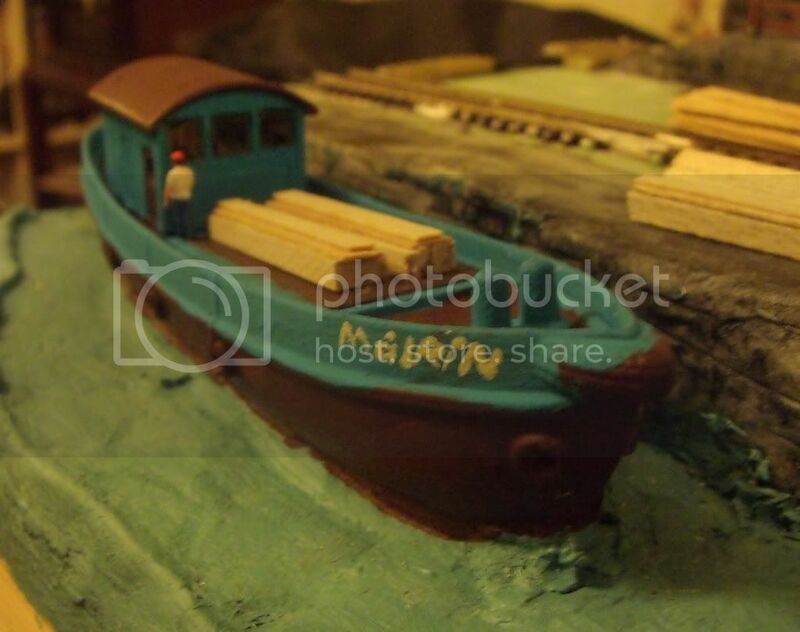 Ivatt designed it before crossing the channel for fame and fortune. Whilst designed for shunting, there's no reason they couldn't have been rostered to work a branch if there was a shortage of suitable engines. 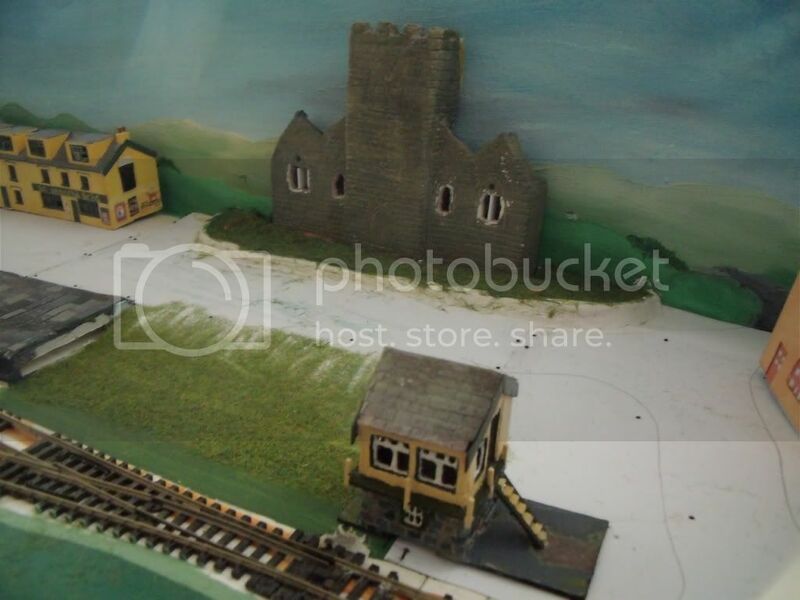 My layout is set more or less in Cork where they operated so I think its feasible to have one. It also gives me a loco with a different wheel configuration to use. 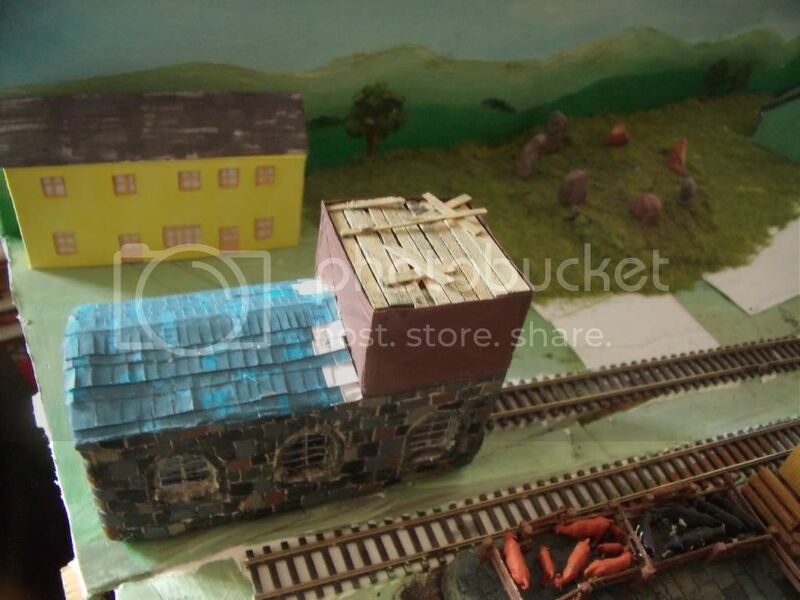 The fact it's a tank engine is a bonus! 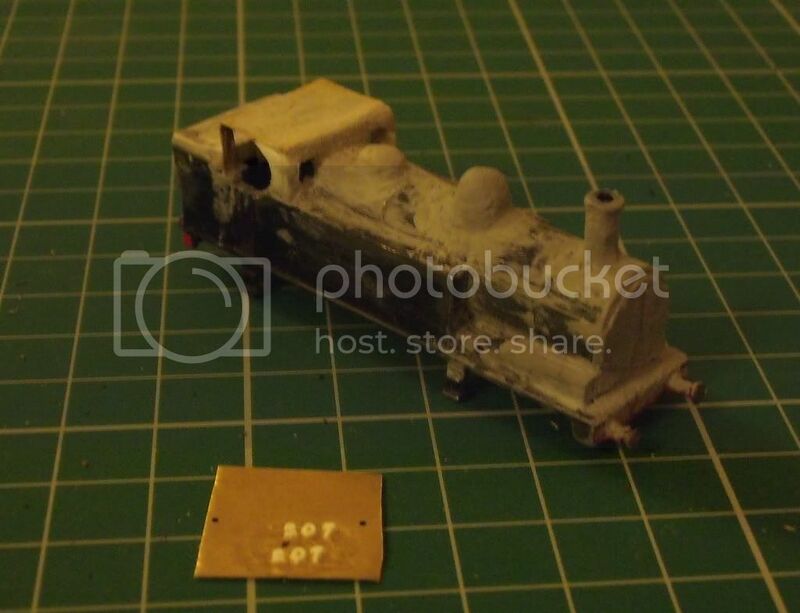 Nearly finished my J11 tank engine. The bunker top will need widening very slightly judging by photos. Speaking of which, I've now got 4 photo's to work from instead of 2! Made the rest of the cab eventually. Couldn't get plastic to keep its curve for the back of the cab. Having a flat roof I thought it would be easy to use plastic but after 3 attempts I got a bit of a spare brass coach roof and used that. On the 2nd attempt with brass I got a result. So, 5th time lucky! 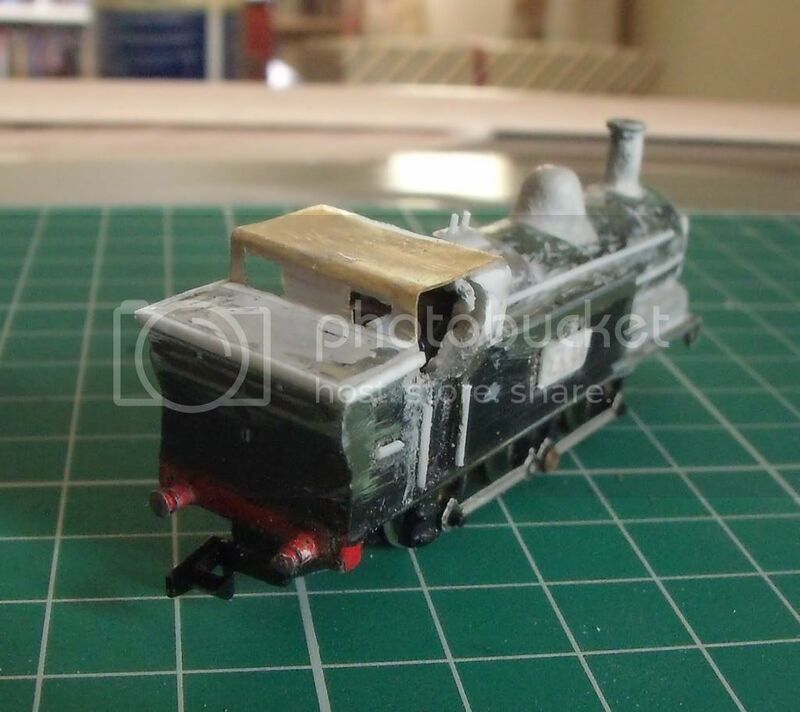 So, a bit more to do before a visit to the paint shop. Another installment in the saga! My J11 is ready for the paint shop. I'm going with Tamiya 'Nato Black' again as I think it looks right. I'll give it a white undercoat 1st, white being the only one I have! Its now glued in place which will make tiling the roof easier. 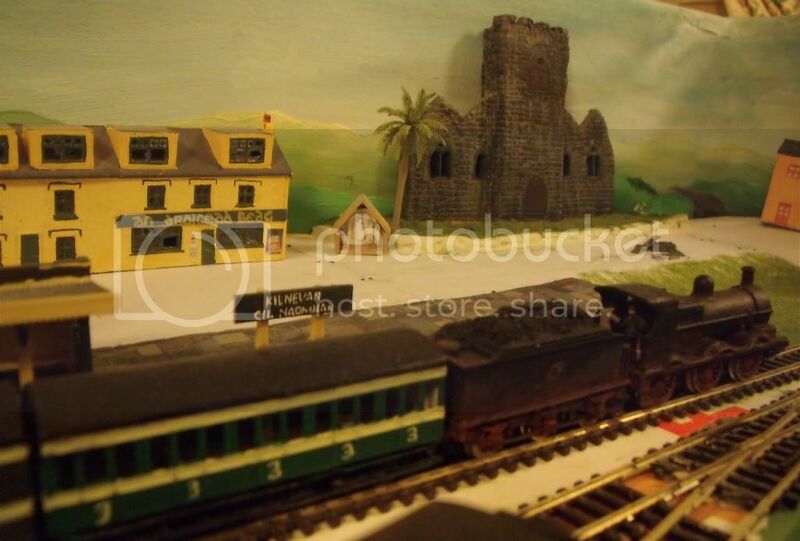 The pub needs reglazing and the station sign should be in Irish, then English but it will do for now. The grotto, incase you dont know what one is, is the little 'shed' to the left of the church. There's a figure inside which I'll paint to look like Mary so that the parishioners can have a pray when the church is closed. The palm tree is prototypical for SW Ireland in case you wondered. 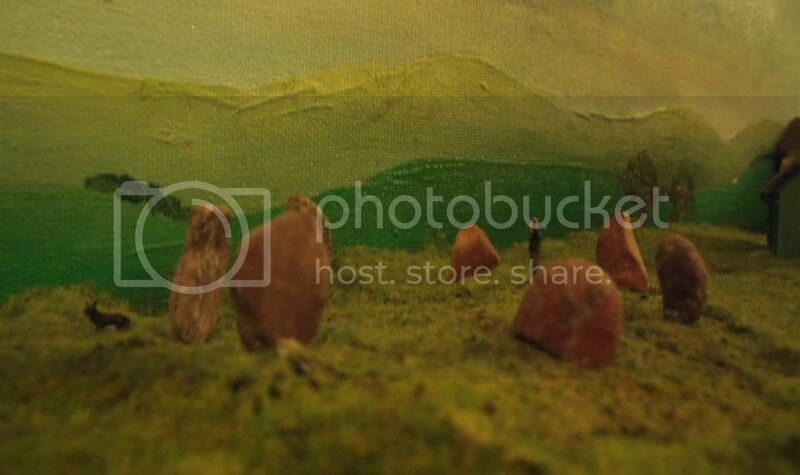 Its by The Model Tree shop, item PT25. I've been doing some more work on the boat too. Thought I'd fit an interior to the wheelhouse. 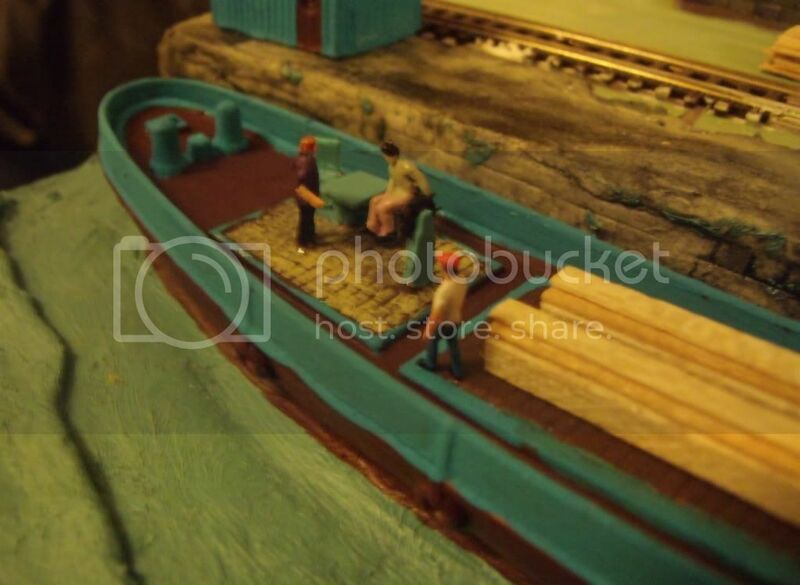 Not that you can see it once the wheelhouse is attached! I've paintwork to tidy up on it and I need to paint the boats name better. Its called Mairin, which in English is Maureen. Has someone seen a dog?